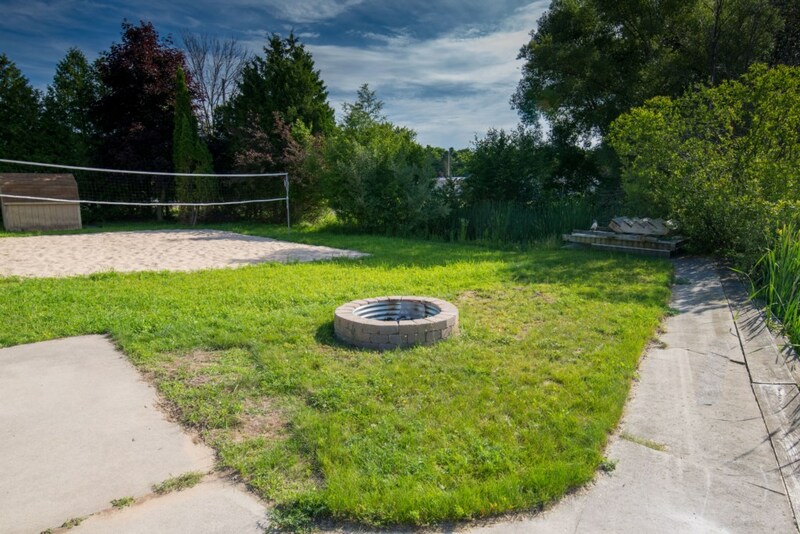 Don't miss out on this rare find in the Village of Onekama. 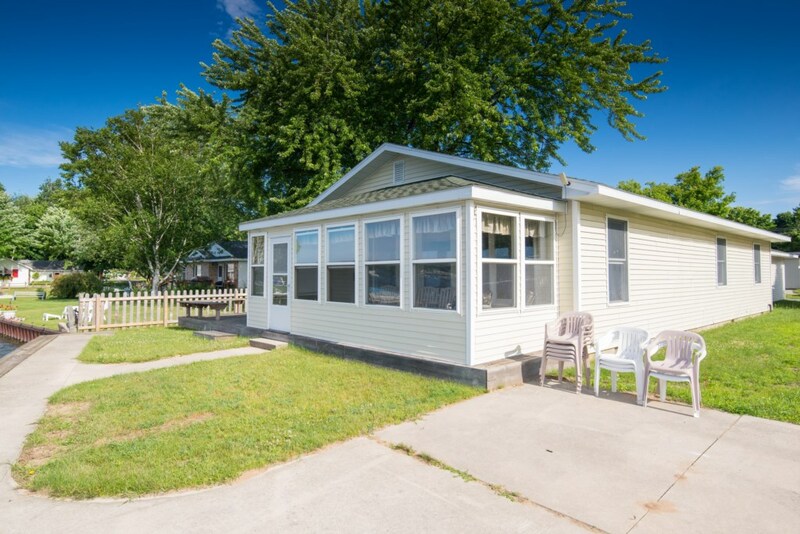 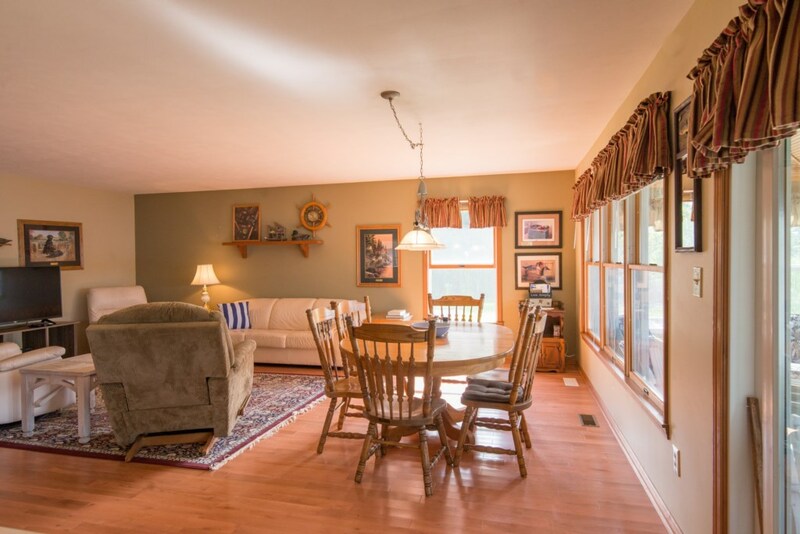 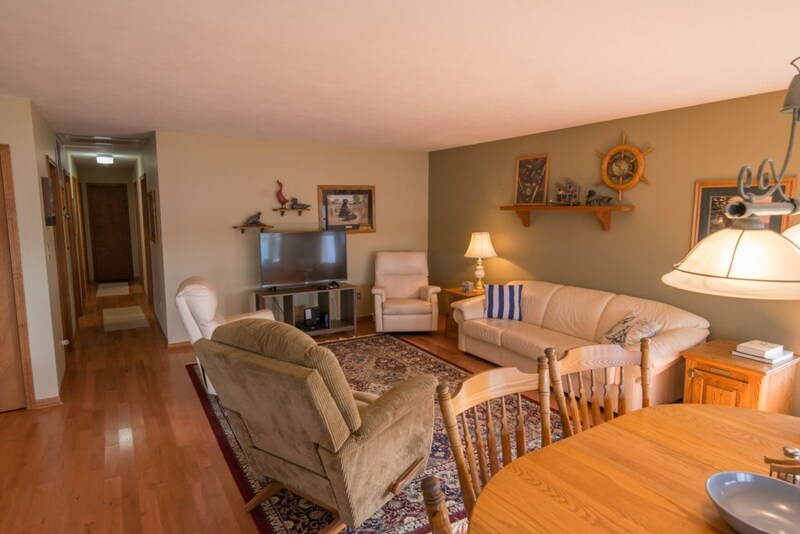 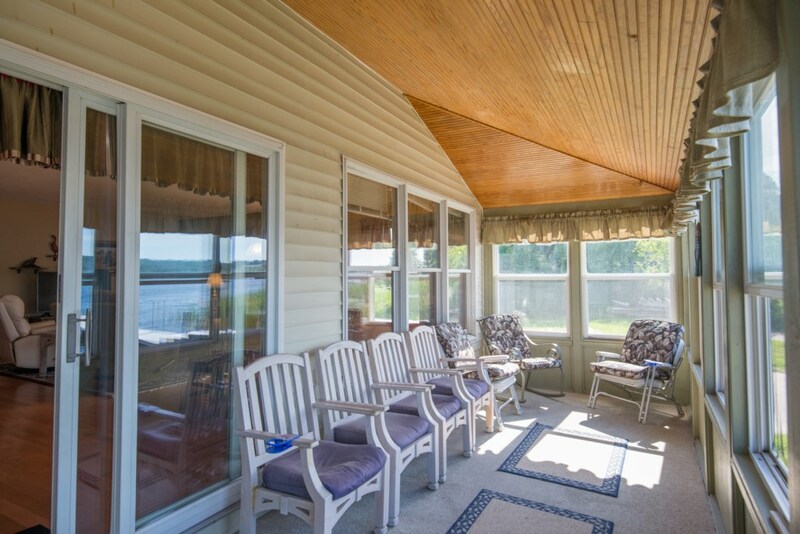 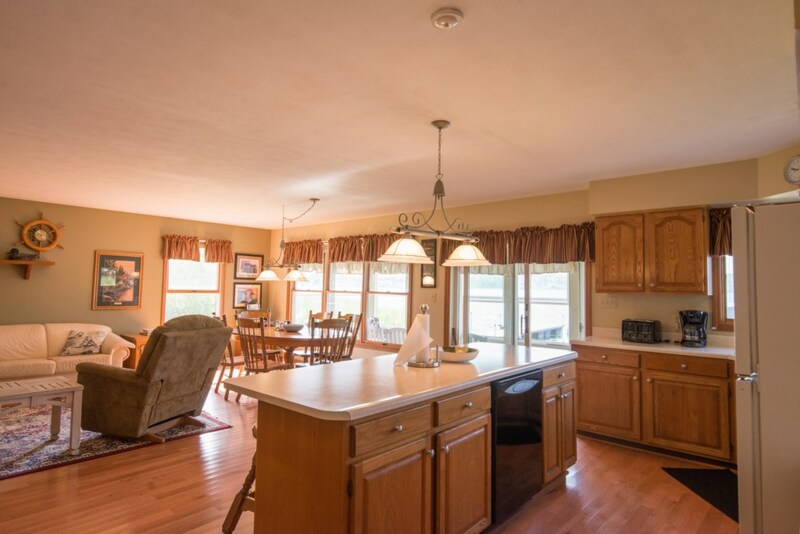 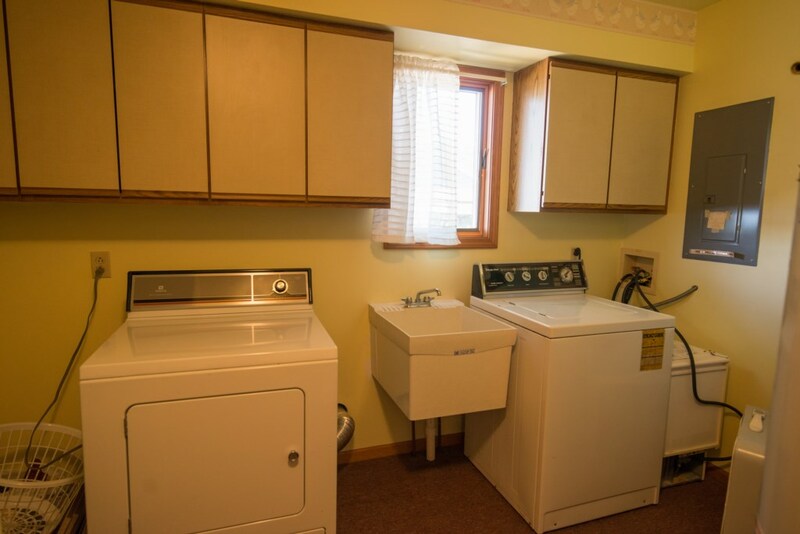 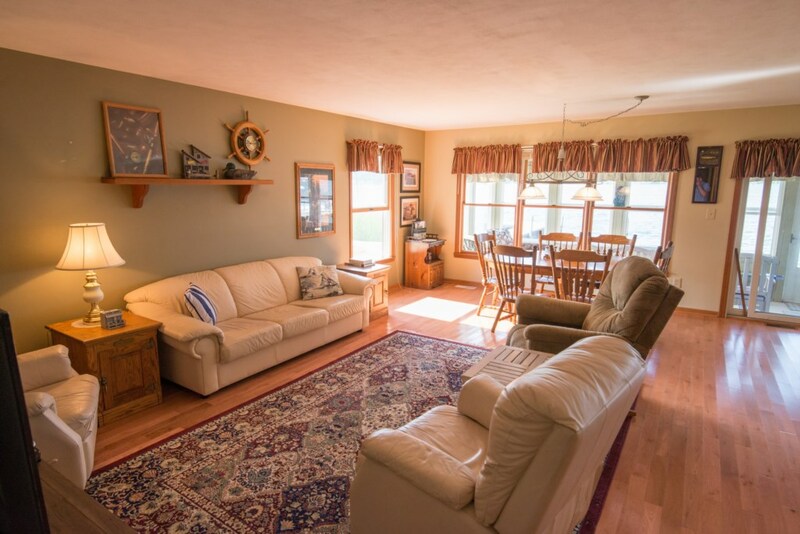 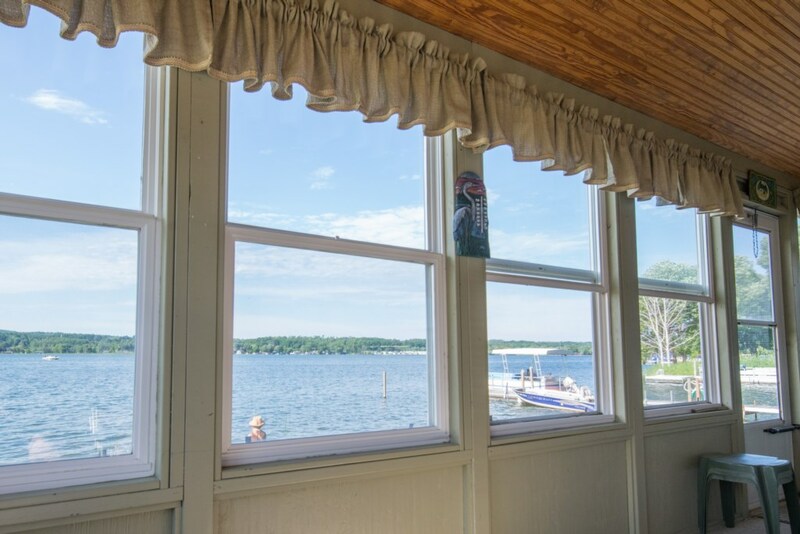 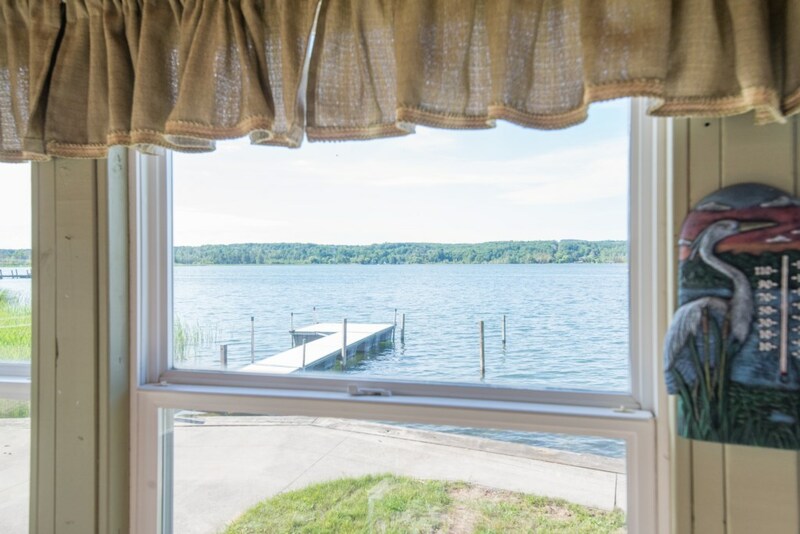 Located right on Portage Lake, this is an ideal house for your fishing trip or quiet get-a-away. 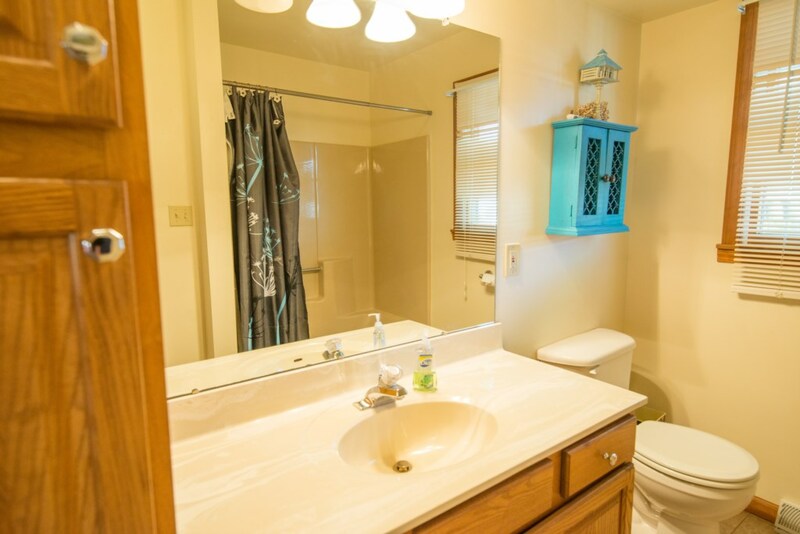 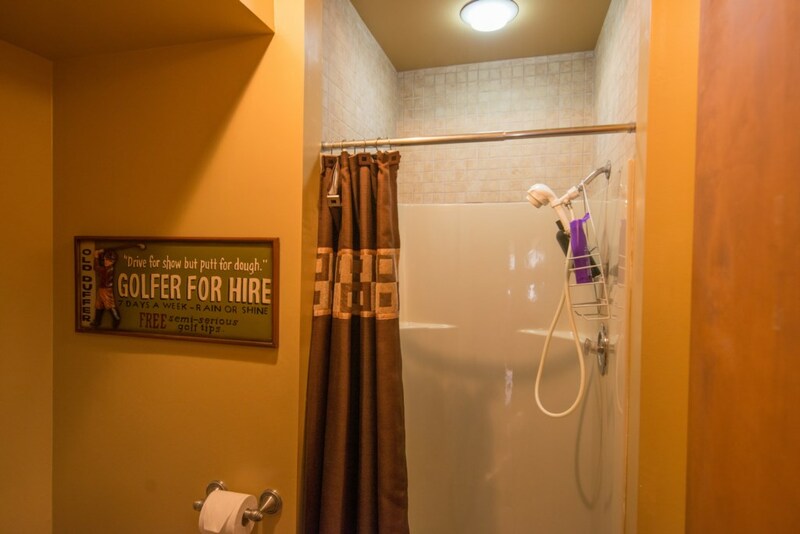 Home is located right off the main strip and you're just a short drive from tons of golf and shopping! 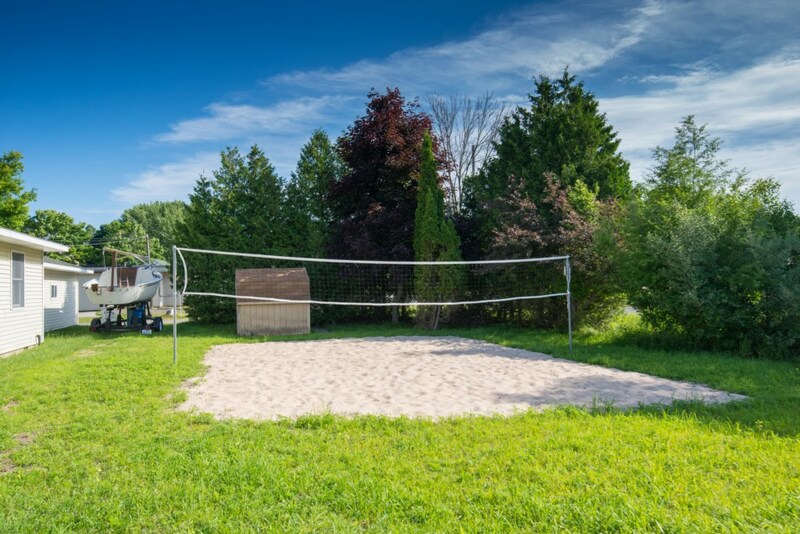 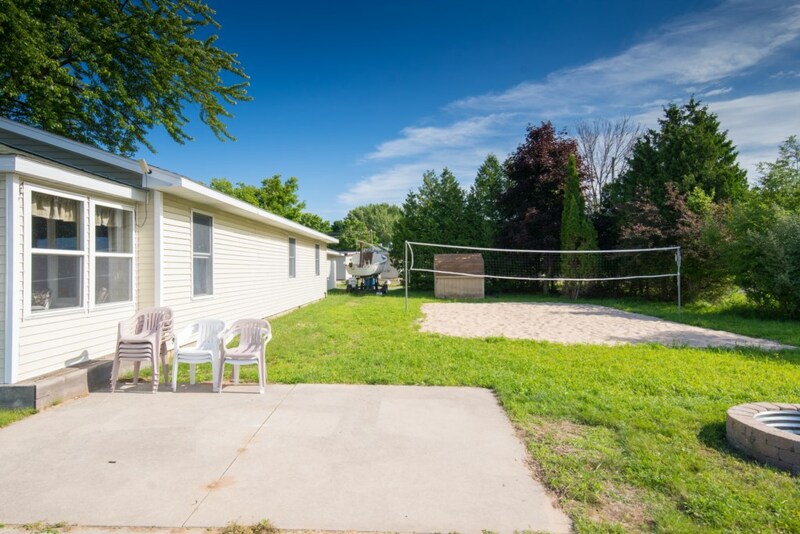 The property includes a fantastic large lot right next door with fire pit and sand volleyball court. 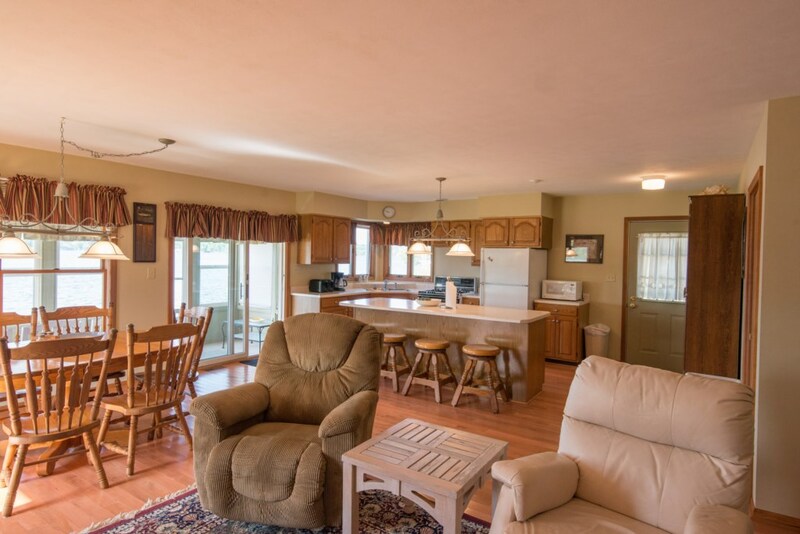 Perfect space for entertaining! 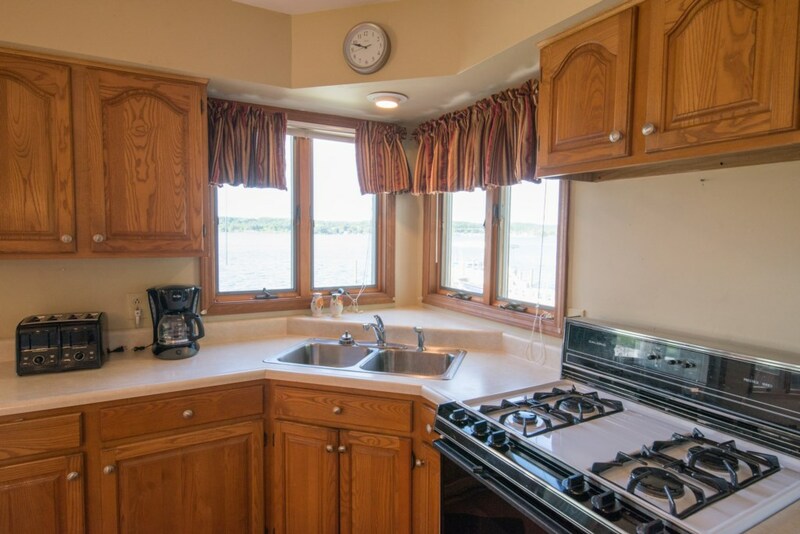 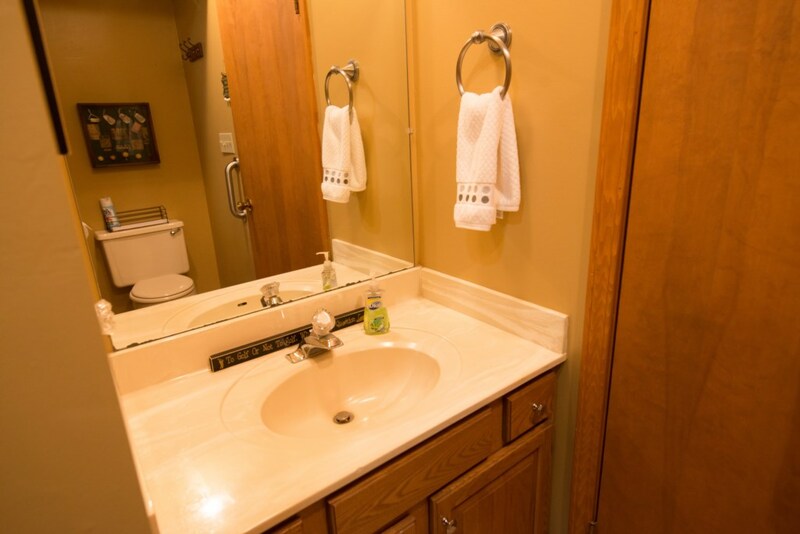 This home has a boat dock and fish cleaning station. 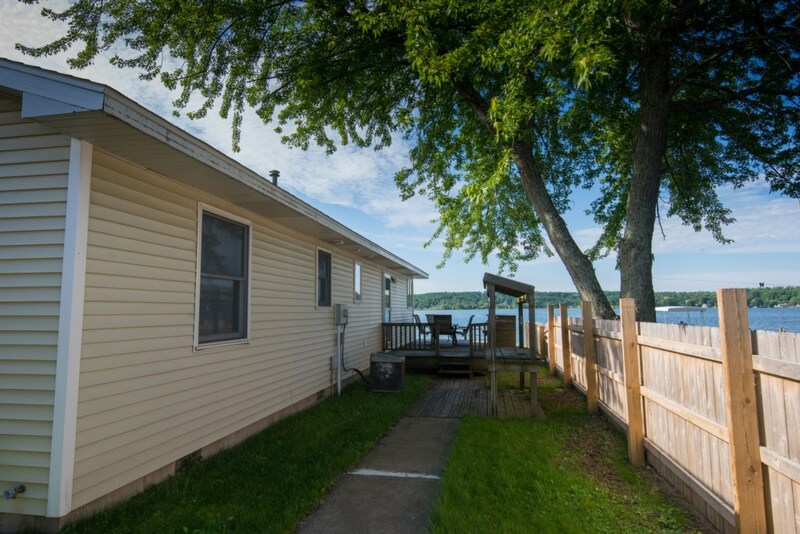 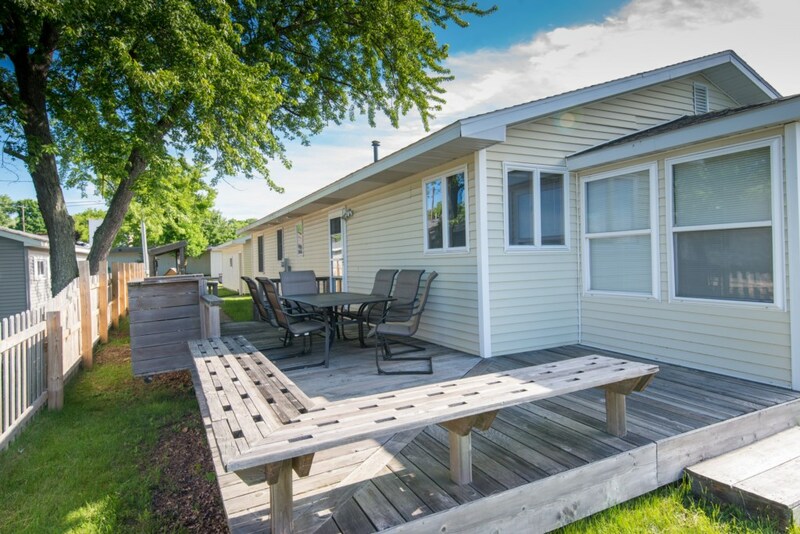 The large 3-seasons room and side deck will be perfect for relaxing and looking over beautiful Portage Lake. 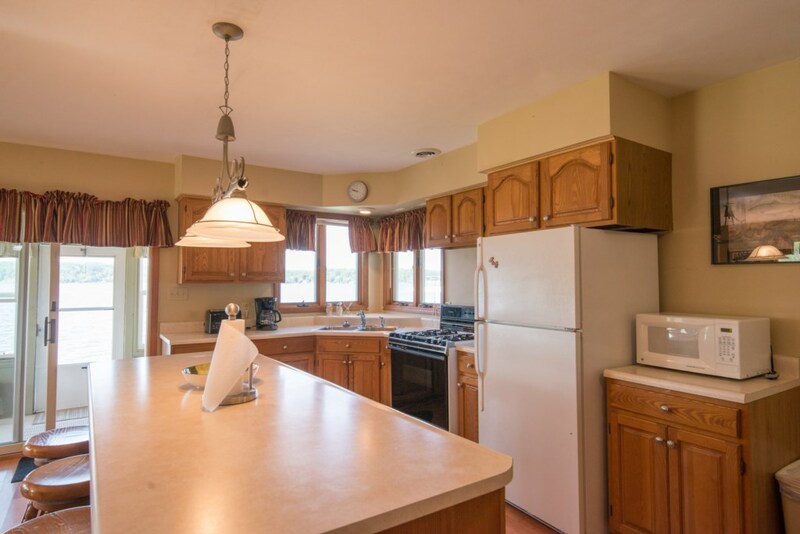 The living/dining/kitchen is completely open so you'll have no problem staying close with everyone in your group. 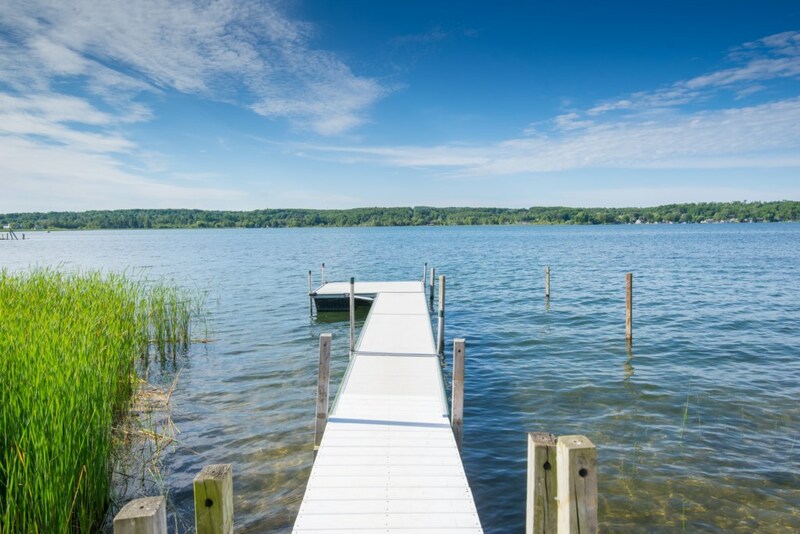 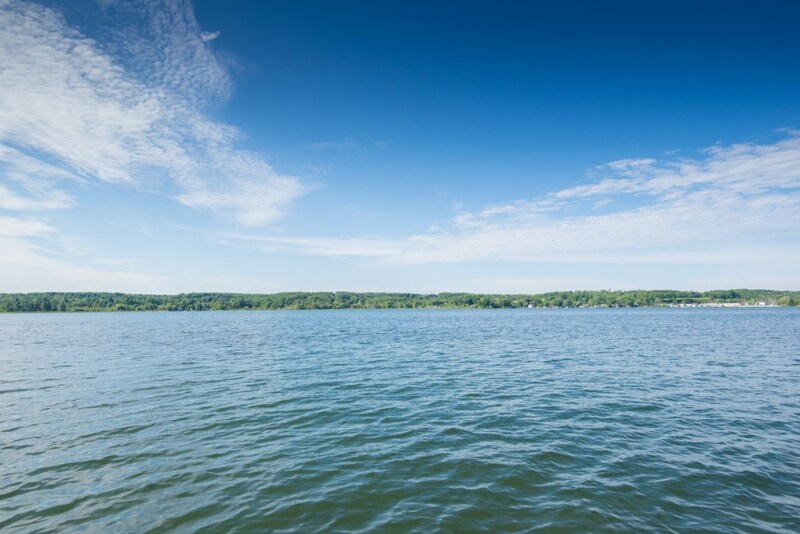 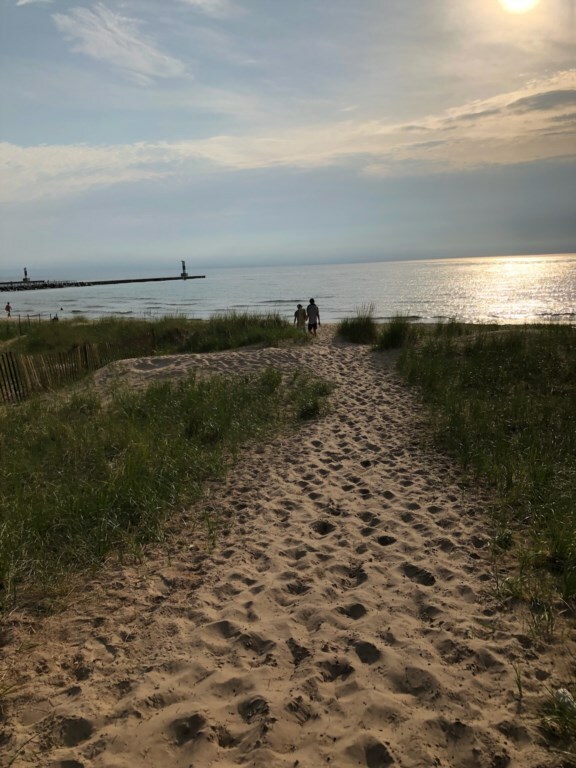 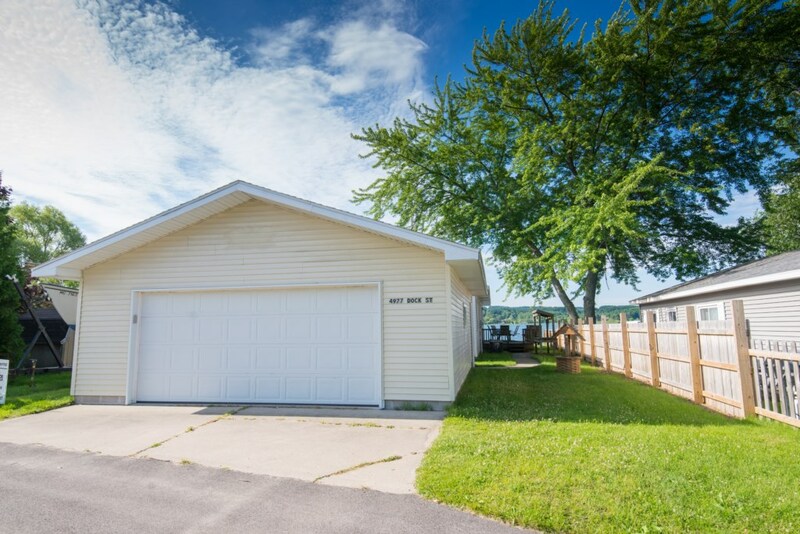 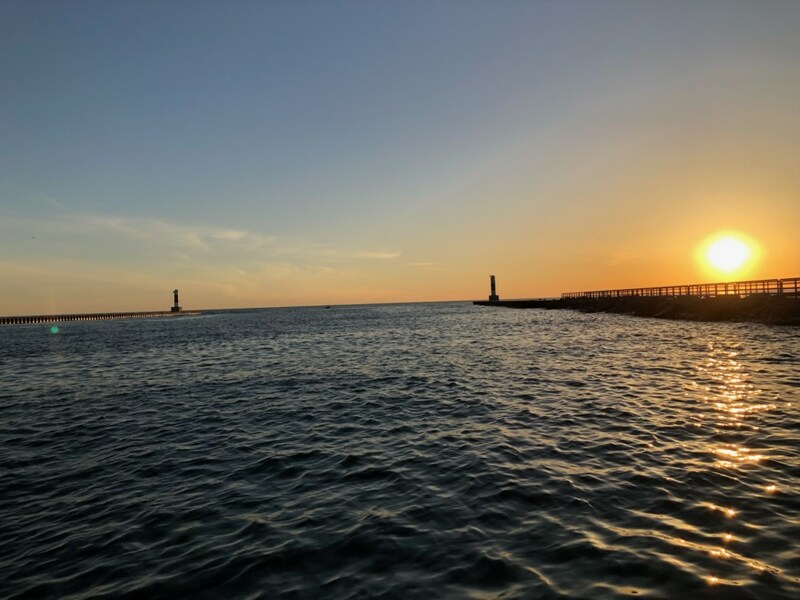 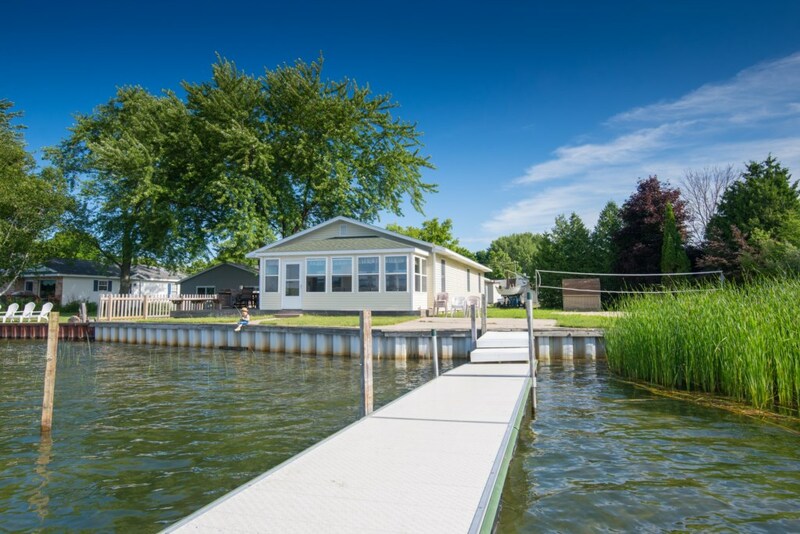 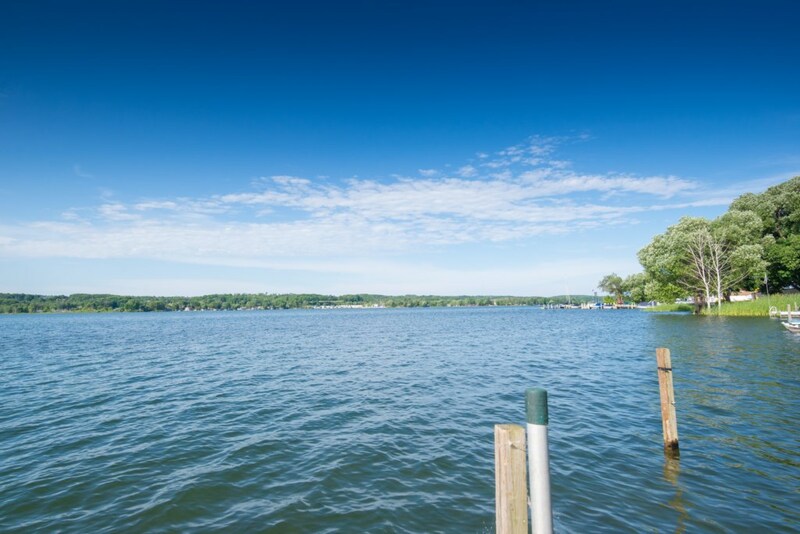 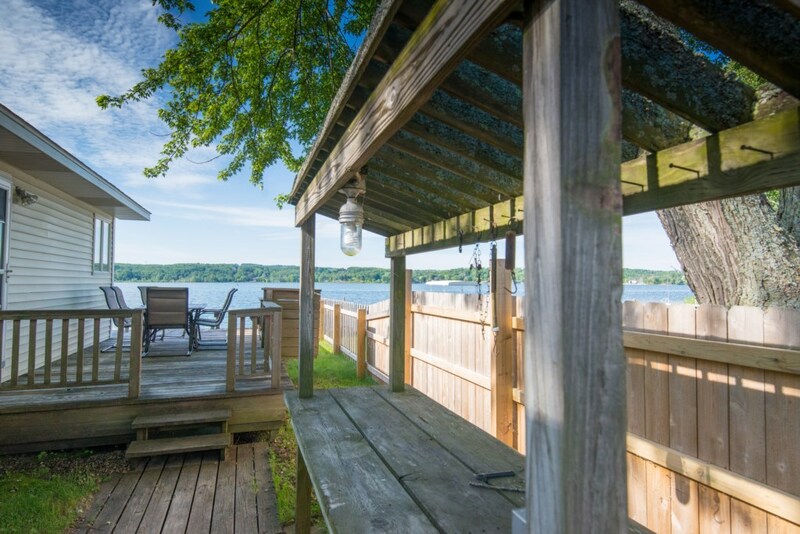 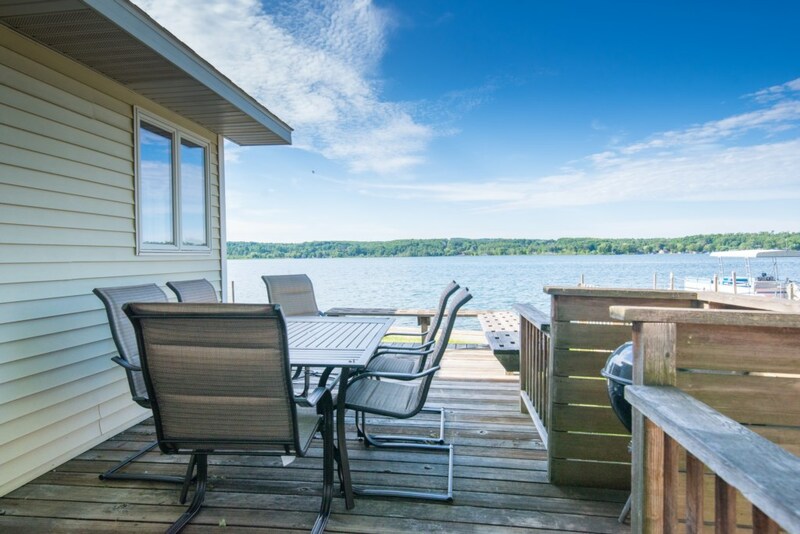 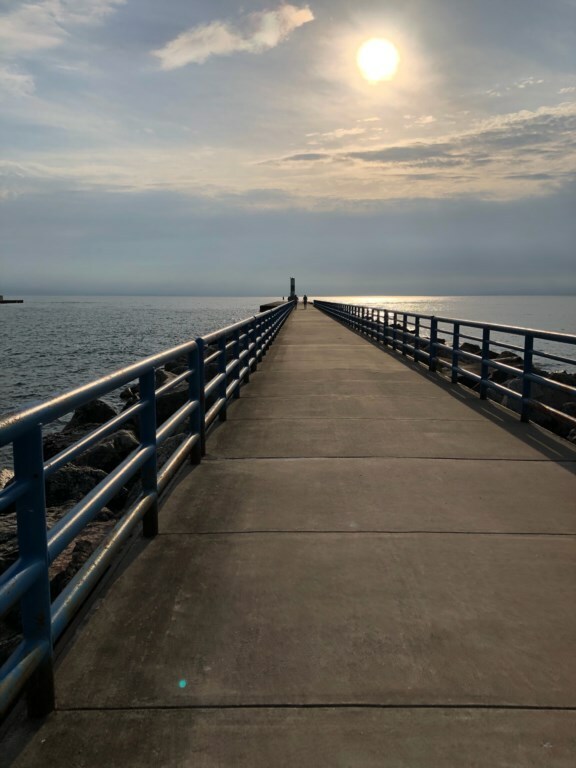 There are very few rental homes available with direct walkout access to Portage Lake, and even fewer with a private boat dock. 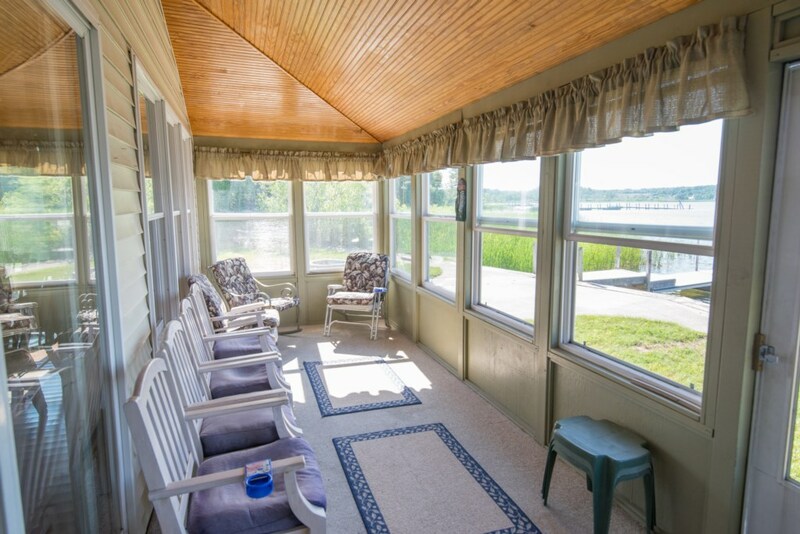 After one stay, you're going to want to make this an annual tradition!